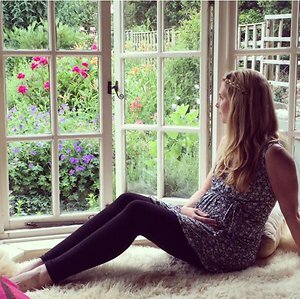 For newly pregnant women or those of you giving birth imminently, I teach Maggie Howell's acclaimed hypno-birthing workshops in Cheltenham, Gloucestershire and sometimes in your home if you prefer. You and your birth partner learn how to manage labour and the different ways in which emotions and hormones affect women's bodies. You will understand the changing anatomy and physiology during labour and most importantly, techniques to manage the different stages. This invaluable knowledge enhances yours and your partners' confidence, improving outcomes and experience. The manner of our arrival in the world has far reaching effects, says Dr. Michel Odent MD, founder of the Primal Health Research Database; author of over 50 published scientific papers and 11 books. “The character of a nation is reflected in its’ delivery rooms..."
At Natal Hypnotherapy we believe passionately all women should experience the best birth possible. With insight and confidence gained from a Natal Hypnotherapy Workshop, it's possible to be positive and calm even with intervention. Our passion is that you feel happy with your baby's birth, however it unfoldsand that you can look back knowing you were fully supported. This means mentally, emotionally and physically. It makes all the difference. Natal Hypnotherapy gives you the tips and tools, confidence and self belief. Workshop One covers 'Natural Pain Relief' and Workshop Two the 'Practical Birth Preparation'. Partners are encouraged to attend, giving them the opportunity to understand their role and how best to support the birthing mother . At the end of the workshop, parents' are delighted and relieved and actually look forward to their baby's birth. See testimonials from other parents and the 'What is Hypnosis?' section, on the Natal Hypnotherapy page. I am happy to answer questions over the phone. I offer Post Birth Doula support as well as Maternity Nursing if you would like some hands-on practical help in the period after birth; with help in establishing breast feeding and a speedy holistic recovery. Hypnotherapy and in many cases through their labour as a Birth Doula, it felt natural to progress to maternity nursing in order that I could continue their care. I did my Maternity Nursing training with MNT and included modules in Post Natal Depression and Breast Feeding. I have also recently added the ancient tradition, "Closing the Bones" Ceremony. "Closing of the Bones" is a postpartum healing ceremony, which was created to nurture the mother after her passage through giving birth, and journey into motherhood. It's a celebration, set in a sacred space and a way to nurture the mother both emotionally and physically. It can be performed soon after birth. traditionally hours, though I would allow four days. My focus is supporting Mums in their post natal period, helping them recover from labour, introducing homeopathy and aromatherapy if they would like, encouraging them to enjoy skin to skin with their baby’s, assisting with breast-feeding and establishing individual routines. By discussing with couples how they envision their different roles as parents, it helps with the smooth running of their home and everyone feels supported; both immediately and in the longer term. My aim is to ensure parents’ feel confident in caring for their new baby as well as rested and recovered after the labour. I can provide hypnotherapy for ‘Faster Post Natal Recovery’ or for ‘Post Birth Trauma’ should anyone request and on-going part time care if parents would like. Due to the ‘round the clock’ nature of the post birth period, I believe emotional and mental support as well as physical can help ensure this time is enjoyable. Staying ‘one step ahead’ can make all the difference, making life with a young family manageable and fun. Georgie was a reassuring and joyful presence in the first fortnight of motherhood, from being in hospital with us within hours of delivery and providing advocacy ahead of our discharge through to sign off from midwife care on regaining birth weight and passing all post-birth baby and mother checks. Her strengths are combining traditional with holistic approaches, such as aromatherapy, and caring for the well-being of mother as well as baby, with nutritious meals and snacks and firm advice on self-care alongside guidance on breastfeeding and practical skills for looking after the baby. She retained a sense of joy and fun throughout, enabling us to enjoy the experience and lifting spirits within the supportive and caring environment she created. I would highly recommend Georgie as a maternity nurse. We were blessed to have Georgie with us for the birth and maternity help in the following months. Thanks to Georgie my last few months of pregnancy were calm and full of excitement instead of worry. It was my third baby, I had had a tricky pregnancy and was especially tired. The natal hypnotherapy gave me space to think about the birth in a free and relaxed way and gave me time to rest everyday. I learned valuable ways of taking myself away from noise and discomfort to visualise the journey through labour and the birth of my baby. I was able to use these techniques during the labour which allowed me to actually enjoy the experience and welcome the birth. I felt empowered by how my body and mind coped. Georgie's presence in the hospital was reassuring for my husband and I and she was absolutly invaluable during the labour and post birth period in hospital. I feel huge gratitude to Georgie and believe, in some part, that we owe the sweet and calm nature of our baby to her. Her nutritional knowledge and experience with small children meant that the first few months at home with all the children together were much easier than expected. Georgie has become a much loved and cherished part of our family.